The March 2018 Local Food challenge is chicken. As with other months, find chicken local to you, use it for a meal, and then comment here or email me about what you did and how it tasted. For additional rules see the original post. Whole chickens can be boiled, roasted, cut into parts and fried, or cooked in a crockpot or instant pot. They can be served over rice or potatoes. Leftovers can be used in soup or casseroles or sandwiches. If you are local to us, chickens can be purchased from us for $5.00 / lb through March 31, 2018. They were raised outdoors on our farm in fresh air and sunshine, were fed non-gmo grains, were processed by us and frozen, and are 4-6 lb. I have been using them regularly as a main dish and for chicken broth and stock. They taste good! Here are 2 liver pâté recipes that we have used over the years. The EAS Liver Pâté with variations is blended liver, milk, eggs and spices. Lunchon Pork Pâté is blended liver and sausage. Both taste good and are not hard to make. Both can be eaten warm with crackers or bread, or can be used the day after for sandwiches. My children prefer the one with sausage, which is not surprising, as many things taste better with sausage! In the early days of our farm one of our customers was married to a man from Denmark. His family made a liver pâté that was delicious. I asked the customer for the recipe which she shared. Her mother-in-law sent it to them in Danish, the son translated it, and the customer shared it with me. This is that original recipe. I have made edits to it here. With all the talk about weird objects being seen from the space station, secret UFO departments at the Pentagon, and other strange things in the sky, we decided it would be wise to scour our property for evidence of aliens before our cows are abducted. Climbing to the top of the barn, we were stunned to find that someone had indeed left a message for us. 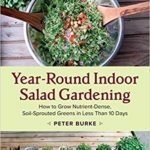 In the book, Mr. Burke shows a simple way to grow sprouts on soil, without the need for grow lights or other expensive equipment. 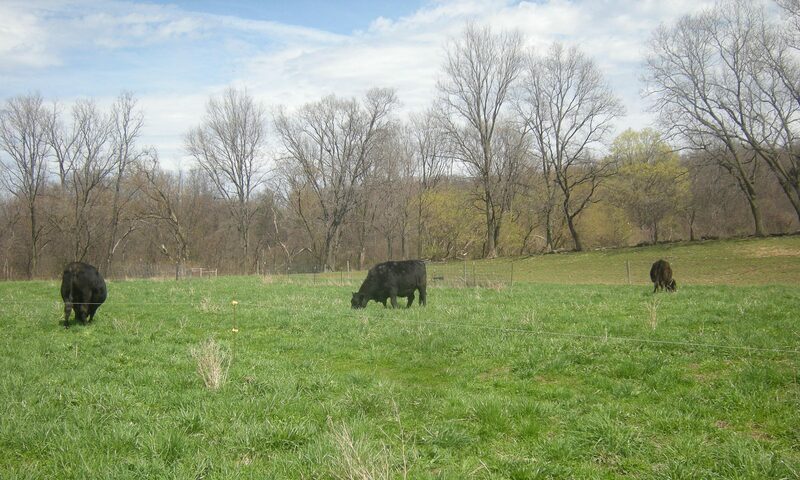 This is The Farmer’s second winter using the method, and here is what it looks like for him.